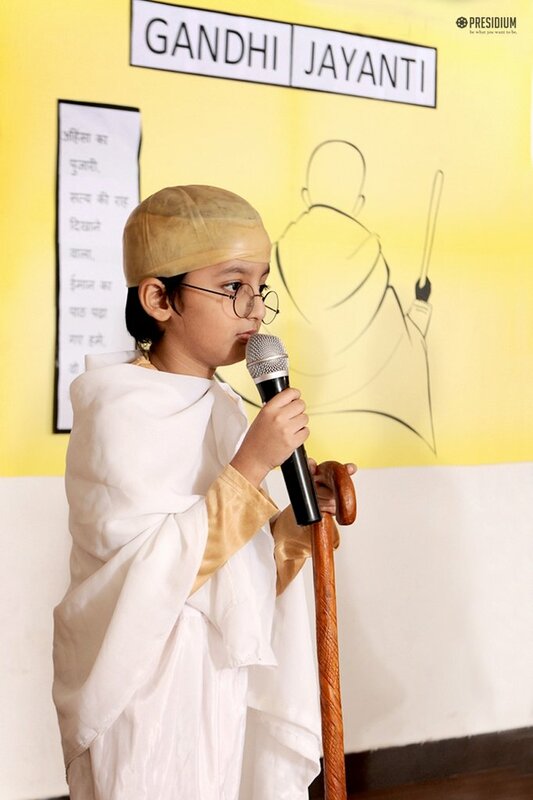 Mahatma Gandhi gave the whole world the message of peace and non violence! 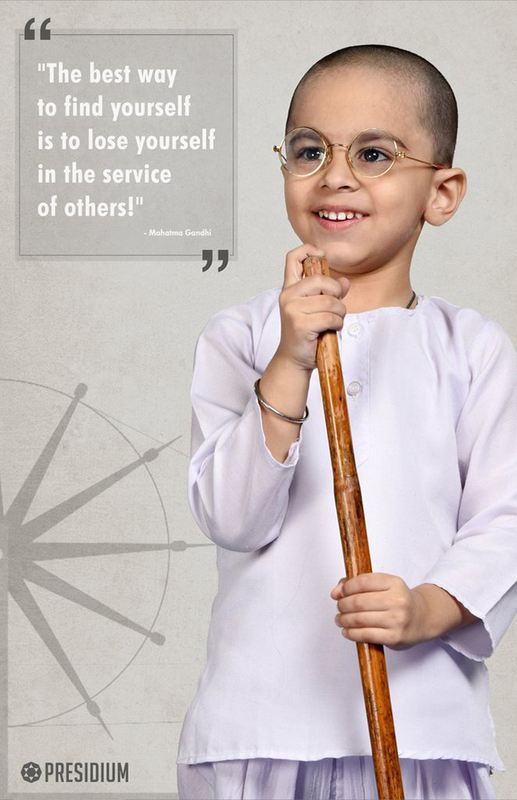 Celebrated with oodles of respect and excitement, Gandhi Jayanti reveres the birth anniversary of the father of our Nation - Mahatma Gandhi. 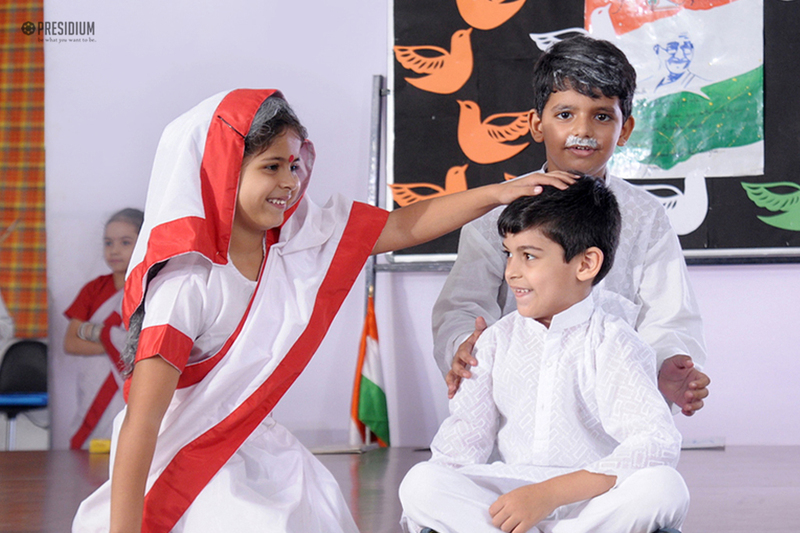 To rejoice this beautiful day of undue national importance, our young Presidians recently organized a special assembly. 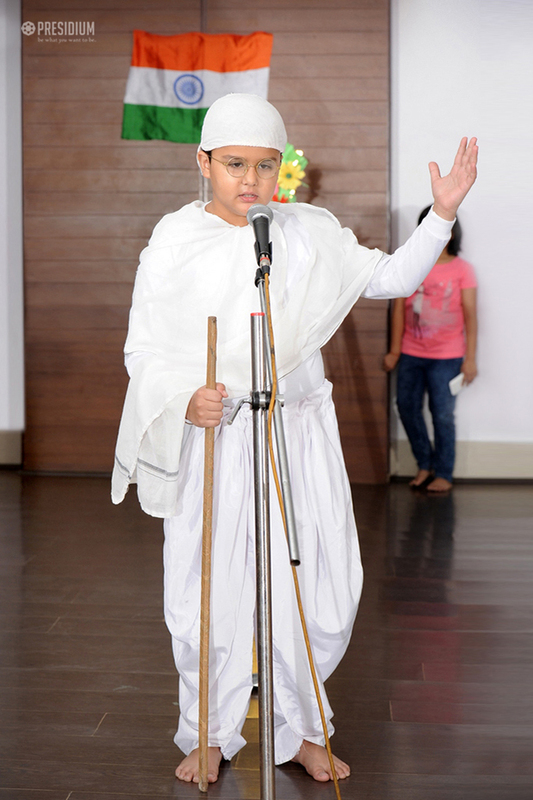 Dressed up as cute little Mahatma Gandhi and his wife Baa, they paid a loving tribute to him in their own special gesture. 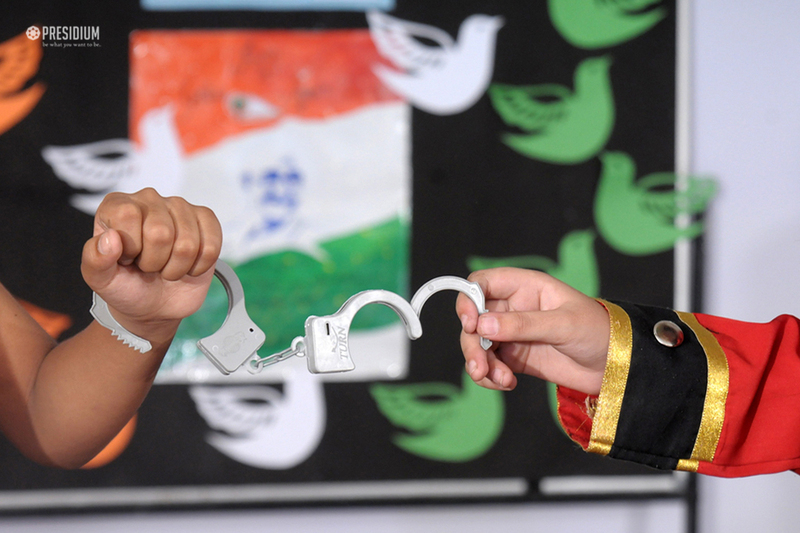 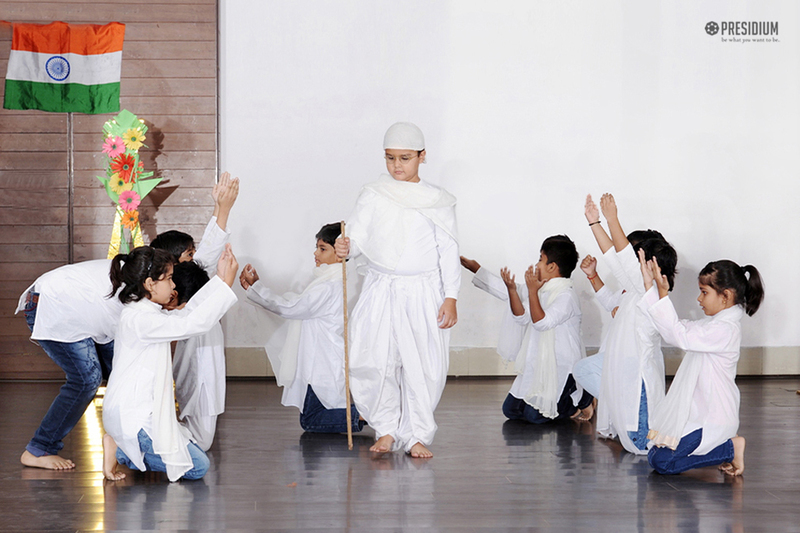 The students displayed various symbols and episodes of independence struggle commenced by Baapu like the Swadeshi Movement, Dandi March, Charkha and Khadi. 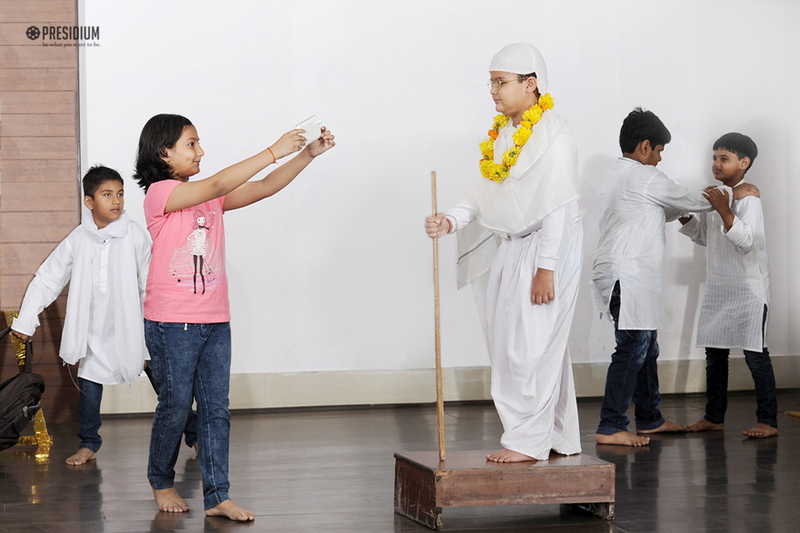 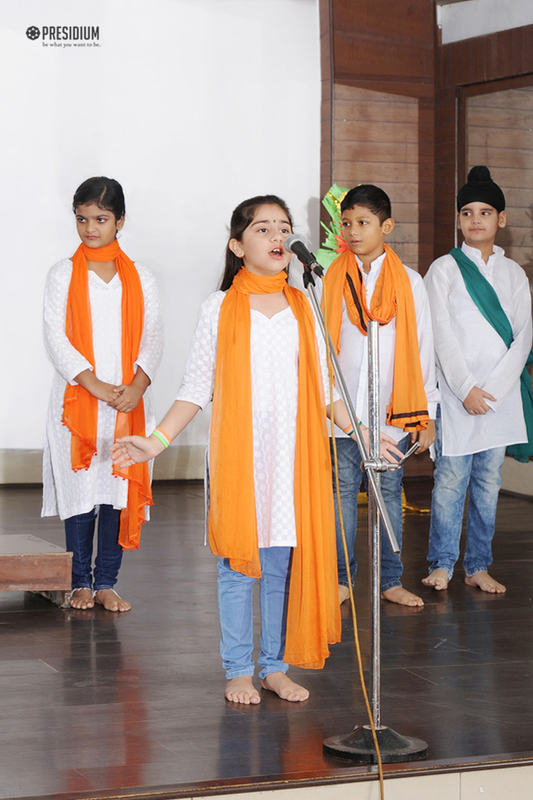 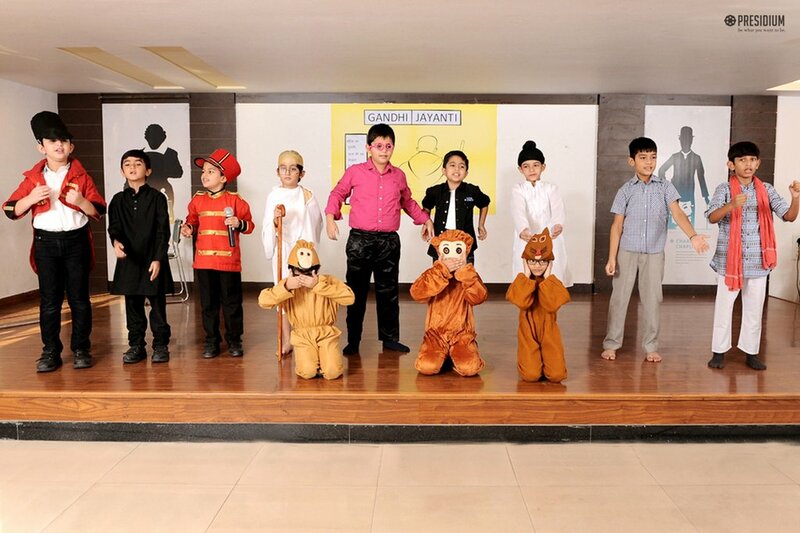 Amid the song ‘Raghupati Raghav Raja Ram’, the 'leaders of tomorrow' pledges to keep up with Mahatma Gandhi's valuable preachings.